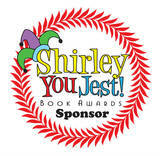 I’m delighted to support the Shirley You Jest Book Awards. Author Spotlights for the top four winners will be appearing on this site November / December 2012. Tia Silver Bach’s blog – 22nd July 2011 on NaNoWriMo. Jodine Turner’s blog – 15th September on writing essentials. JD Mader’s non-fiction blog – 18th September on being a writer in the U.K. entitled ‘The view from across the pond‘. Fiona Veich Smith – 17th January 2012 on overcoming writer’s block. JD Mader (again) – 17th April on the art of interviews. Nancy Dodd – 15th May on writing essentials. Siggy Buckley – 15th May entitled Do as I do, not and as I say. Tony Riches – 3rd August on 10 writing tips for new writers. Tom Rizzo – 14th August on crime writing. January 2013 – I was interviewed by Cheryl Carpinello then by Alana Woods. February 25th – I was interviewed by Clayton Bye. March 16th – by Paul Brazill. April 2nd – I guest blogged for Rachel Abbott. April 18th – Tracey Alley spotlighted me. May 5th – I was interviewed by Sonnet O’Dell. May 7th – Tracy Kauffman featured my novel on her blog. May 14th – I guested about crime writing for Kenna McKinnon. May 17th – My second post, on writing essentials, appeared on Kenna McKinnon’s blog. June 11th – Jess C Scott posted two items from me: The Story Behind The Serial Dater’s and Crime Writing. June 15th – Adele Cosgrove-Bray shared my writing essentials on her blog. August 30th – one of my guest posts (on getting ideas) went up at Southern Writers Magazine. September 1st saw my guest blog on writing short fiction on Beryl Belsy’s site The Writer’s Drawer. then on the 9th, Beryl posted my piece on Writing for Children. The same day, I talked about being an insider on writing competitions on Della Galton’s fab website. September 12th – I was interviewed by author Peter Jones. Friday 13th wasn’t unlucky for me; Kathryn Jones posted my blog post on writing short fiction. September 18th – I was interviewed by Carrie King. Short story (‘The Threadbare Girl’) published on Nathan Weaver’s site. Neal James – January 2012: author of the month (biography & second-person viewpoint story The Dark Side). I have also had articles published in the National Association of Writers’ Groups magazine: April 2011, August 2011 and October 2011 and a twisted fairy tale in April 2012 editions. My article on Story a Day May 2012 will appear in the August edition (link to follow). And amongst the comments about the interviews I host on here is a particularly generous one by Patricia Comroe Frank and I get a glowing reference on Gary Showalter’s blog. Then in June 2012 Editor and Creative Writing Consultant Hayley Sherman invited (and accepted) my submission for her eBook publishing guide… I’ll put the link here when it comes out. I will also be interviewed by Mark Tierno and Neil Yuzuk for Acclaimed Books (date t.b.a.). If you’d like to interview me, feel free to email me.